Spacious Lower Level Bachelor Pad With One Bath, Located In A Highly Sought After East York Neighbourhood. Surrounded By Wonderful Amenities Such As Don River Trails, Parks, Fantastic Restaurants, East York Community Centre And Great Schools. 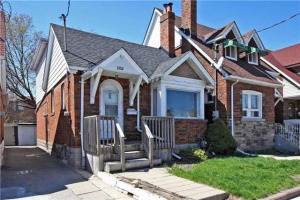 Ttc And Major Highways Easily Accessible With Just A Quick Jaunt To The Downtown Core! Fridge, Stove, Washer/Dryer (Coin Operated). Lease Is All Inclusive Including Internet.